This Saturday we see another long journey with the potential of Bank Holiday traffic chaos. 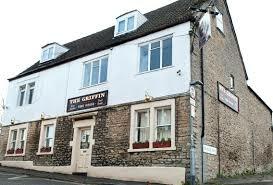 When we get to Frome it’s off to the Milk St brewery tap The Griffin http://www.milkstreetbrewery.co.uk/our-pubs/ which will kindly be opening earlier than their usual 2:00pm. So we’ll be there at 12:30pm. If the ales in their other pub, The Brewhouse in Poole, are anything to go by we’re in for a decent few pints. Many thanks from the PRATS ‘frupnin’ early. Thought we’d throw in a bit uv Ketrin speak. 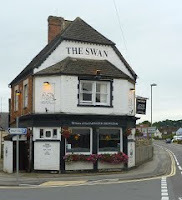 On the way home we’re eyeing up The Swan Faringdon, http://whatpub.com/pubs/WHS/027/swan-faringdon. Should we nip into the Towcester Mill Brewery tap? Always a good option. Once again we travel without Pharp, who is up in the Shetlands knitting a few woolly jumpers and dangling his rod in the sea. The mayor of Frome has expressed his delight at this news, “having the emergency services on stand-by would have decimated the local economy”. “We Fromans can now all breathe a sigh of relief, as well as breathe”. The local cheese makers Dairy Crest are also delighted, contaminating Cathedral City and Davistow cheddars would have been disastrous. We can proclaim that ‘Fromage from Frome’ is safe to consume when peckish, esurient, 'Ee I were all 'ungry-like! Looking forward to a good day out, hope we get a result in the footy as well. Our away day travels have not been good so far losing both games by the odd goal. We don’t want to travel home all mardy.